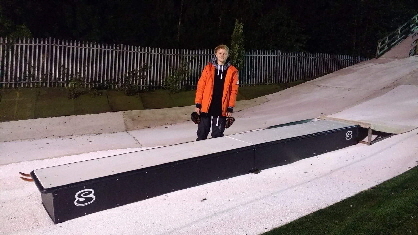 Blue Peter featured Club Members the Loupis twins and Mia Brookes at The Chill Factore as part of Olympics 2018 build-up. 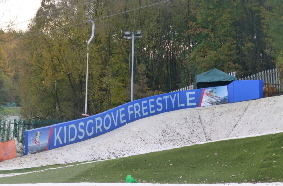 Freestyle at Kidsgrove In 2014 North Staffs Ski Club opened its dedicated freestyle slope. 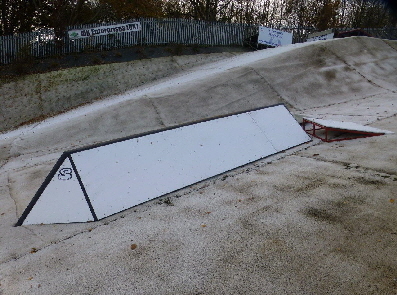 It is a permanent facility, with fixed features, that is open to club members who have a helmet with the sticker that says they are approved users. It is open when the slope is open for general recreational skiing. 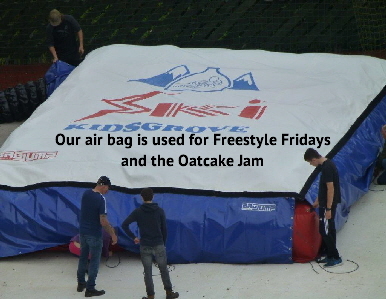 On alternate Friday evenings we are open for “Freestyle Friday” sessions. Come along and join the fun. 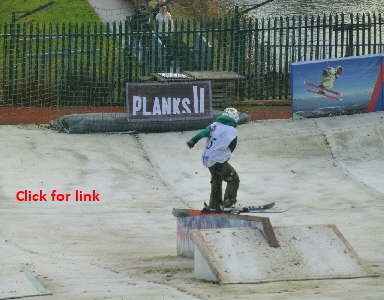 Oatcake Jam History The 4th Oatcake Jam was a great success with about 40 competitors** Click to see the video or pics. Wax: If you bring your own skis or boards, please don’t wax them. They won’t slide properly on our surface. New signage was supplied by local firm A2B Signs and Graphics. Tim and James did the installation work. 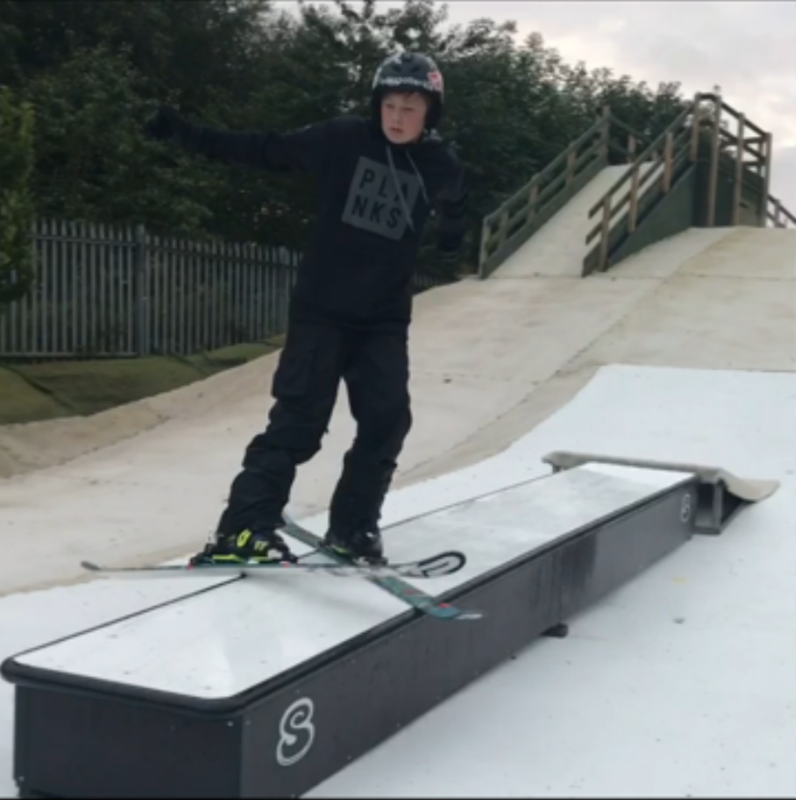 ** Shred4Cal: Andy Bennett organised a wonderful day at Kidsgrove on Saturday, September 8th, 2018 that raised about £1,300 . Click for photos. 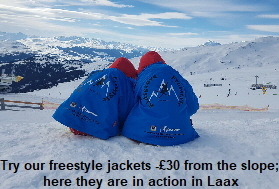 ** 11 year old Mia Brookes won the SENIOR Big Air at the Brits in Laax, and was also 3rd in the half-pipe.